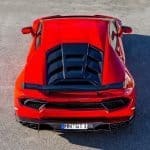 The brilliant team at Novitec Torado took hold of a RWD Lamborghini Huracan and decided to convert it to a twin supercharger system, which probably explains the noise you hear in the background right now – of tires simply screeching on the asphalt. 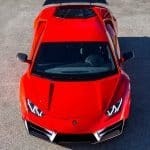 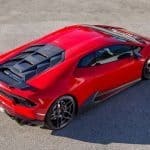 The aftermarket specialists from Novitec tweaked the naturally-aspirated 5.2-liter V10 engine of the rear-wheel-drive Lambo, by adding two superchargers which enable the engine to output 830 hp at the moment, and way more than the stock 398 pound-feet (540 Nm). 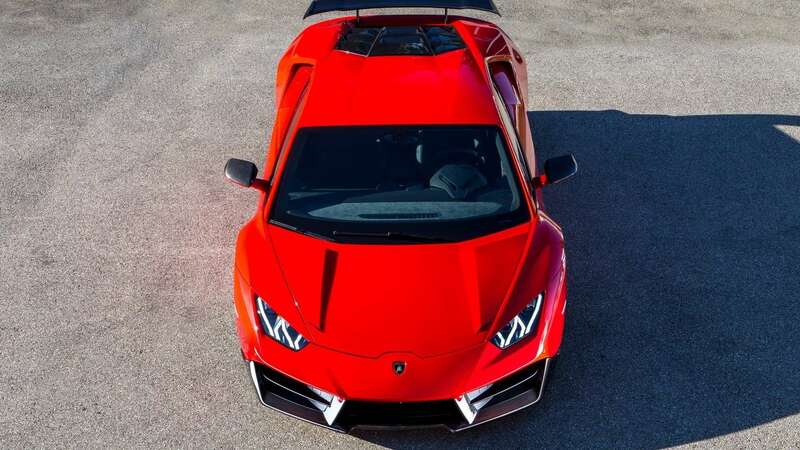 Furthermore, the car tuners will also offer a sports exhaust system for this beast, available with either a stainless steel or an inconel construction, which means this ride will have a more impressive grunt, with or without sound management. 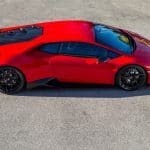 This Lamborghini Huracan also benefits from a custom body-kit, meant to have an overwhelming aesthetic effect rather than to improve the car’s performance figures; sure, it makes this supercar more aerodynamically efficient, but I doubt customers will be thinking about that. 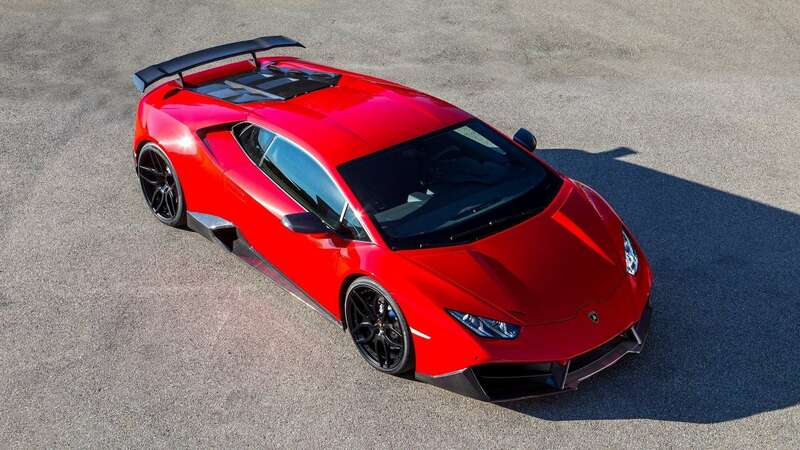 Most of the components were made from carbon fiber, and can be available with that stunning shade of red or without. 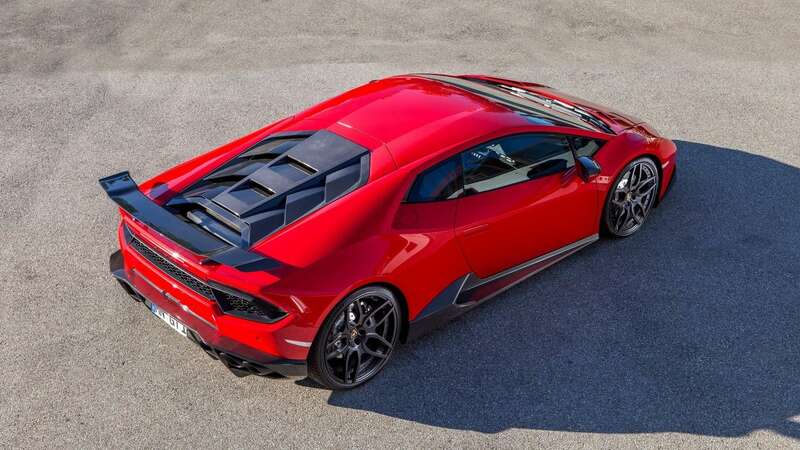 The discreet rear spoiler lip and the prominent rear wing are the most notable elements of this body kit, while a new set of 20″ front and 21″ alloys, and a ride height lowered by 35 mm act as the finishing touches to this amazing supercharged Lambo. 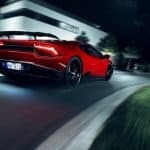 The post Novitec Supercharged the Lamborghini Huracan appeared first on Luxatic.